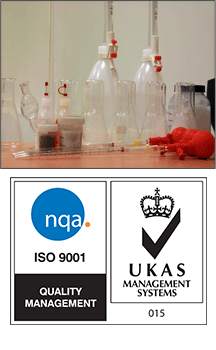 FMF are accredited to BS EN ISO 9001:2000 by the NQA and in conjunction with the FMF WIP system, FMF has full control over product quality and traceability FMF has comprehensive testing facilities and equipment at both its UK and Estonian operations allowing constant monitoring of all processes and consistently high quality production. All staff are fully trained in the operations, procedures and processes in both the UK and Estonia. FMF works with local colleges, Chambers Of Commerce and training organisations to invest in its staff and strives to continually improve service levels.